A new generation of voters is entering the political sphere – millennials. The 2016 election saw more Millennials eligible to vote than ever before. Social media has been a fundamental part of any millennial’s identity and as we become eligible to vote in record numbers, social media will become a more and more powerful tool for political campaigns to use to reach us. Some powerful politicians have this strategy down and know how to digitally connect with millennials. Other politicians seem oblivious to how voters like me engage with their message online. Let’s take a look at some of the obvious players. 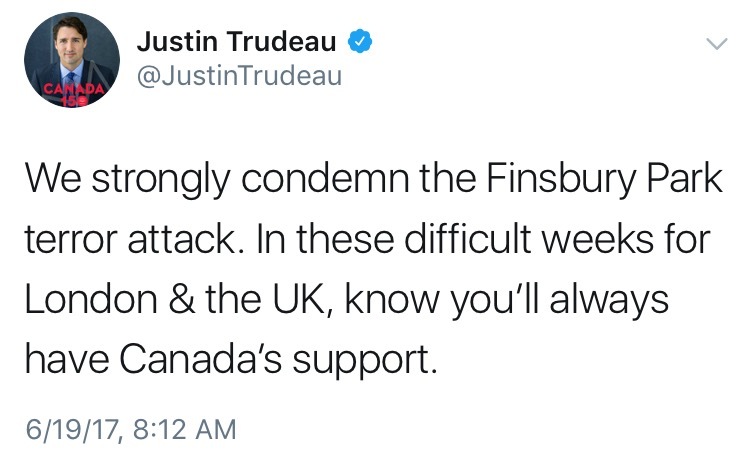 As leaders of two of the largest, most powerful democracies in the world that neighbor each other, Donald Trump and Justin Trudeau can’t have that many differences in their approach, correct? Not quite. Justin Trudeau, amongst many other more important attributes, is young, incredibly dreamy, and frankly, could model part time if being prime minister ever wasn’t working out for him. Oh, and he speaks some smooth French. But it isn’t just Justin Trudeau’s devilish looks that have gotten him to be a leader of one of the most powerful democracies in the world. He’s also incredibly charismatic, active with his young voters, and has a strong social media presence – something that young voters especially appreciate. With Donald Trump’s ratings at an alarming low, perhaps Trump could stand to take a few notes on how to connect with millennials from his next door neighbor. It’s been about 5 months since Donald J. Trump took to the oval office, and since then, his approval ratings have reached record lows. According to a recent Gallup poll, Trump’s approval sat at a short 37%, with a disapproval rate of 57%. After his 100 days were up, he had the lowest approval rating – at 40% – of all modern presidents at the same point in time. The next lowest after 100 days was Bill Clinton, who had a 55% approval rating. Trump would likely argue with these polls and call them “fake news.” However, even if we consider Rasmussen, a right-leaning pollster that Donald Trump has openly supported, we can see that Donald Trump isn’t polling well with the right either. In its latest poll, Rasmussen reported a 45% Trump approval rate and a 55% disapproval rate. Comparably, George W. Bush had a 62% approval rating at this point in his presidency. It’s becoming clear that regardless of party and platform stance, liberal or conservative, Trump is earning some pretty substandard ratings. Trudeau, for Canadians, isn’t polling much better, but he is polling much better with young voters compared to Trump. While Trump earns a 32% approval rating from young people aged 18-29, Trudeau earns a 55% approval rating in this same demographic. 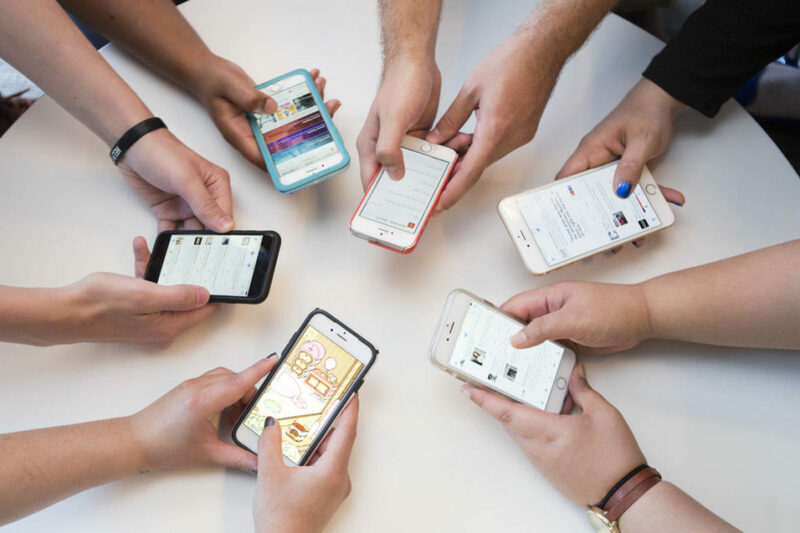 Young people make up a significant portion of social media users, not to mention that social media is the main source of news for the majority of young people. Therefore, a candidate’s social media presence is crucial in how they will poll with young people. 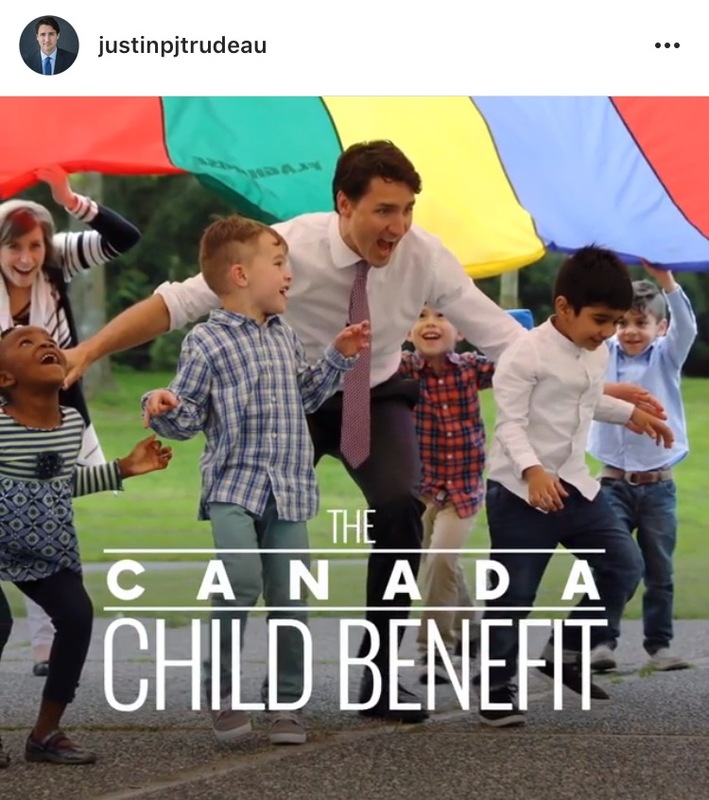 Justin Trudeau’s Instagram features candid pictures of him aside from his family, working class people discussing issues, and often in casual, non-elite settings, giving him a genuine, friendly, normal-guy vibe. 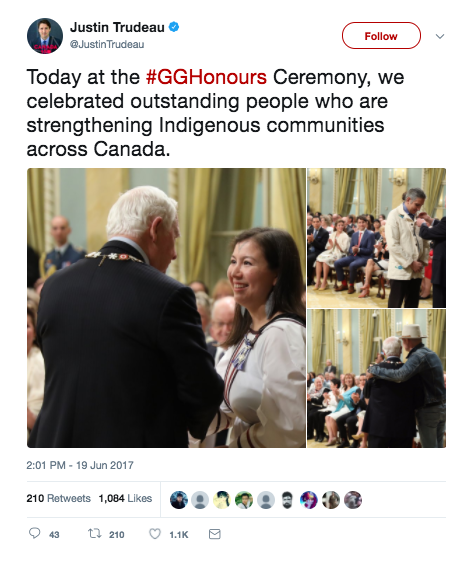 Furthermore, Trudeau utilizes features like Instagram Story, so millennials can see a fun and casual picture, gif, or video of the prime minister in real action. Donald Trump’s Instagram is a bit different. 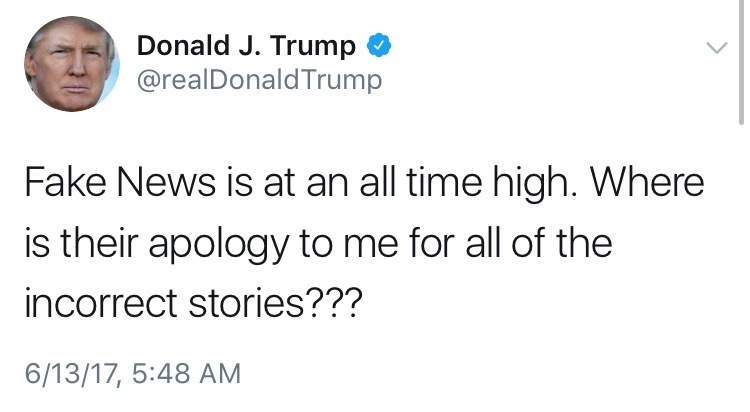 While it also has many pictures of his family and candids of him talking to world leaders, it is mostly just screenshots of his tweets or black pictures with white font, quoting his own tweets. Donald Trump doesn’t seem to market toward a demographic that finds value in digital aesthetics. His Instagram feed probably looks fine to any 40-year-old man, but to a young adult, cohesion and visual appeal drive interest to keep us attentive to content. Social media presence isn’t the be all, end all when it comes to young voters, but it is definitely a large factor in gaining our attention. An appropriate, carefully calculated, proofread social media feed makes a difference to the visual and rhetorical appeal for millennials. A well-planned social media presence shows a young voter that a candidate is willing to connect with young voters, change with the times and technology, and that the candidate is receptive to their culture and modern way of life, thinking, and communicating. On Twitter, for example, electeds should engage with what’s trending for millennials, whether it’s Beyonce’s new album or the latest Black Lives Matter protest. Regardless, it is content that is important to young voters, and candidates who have a voice in representing them should be informed. Being in the spotlight, a candidate must always present him or herself as someone who can be trusted, is responsible for holding power in the government, and who can be held accountable. They must show their humanity and humility. 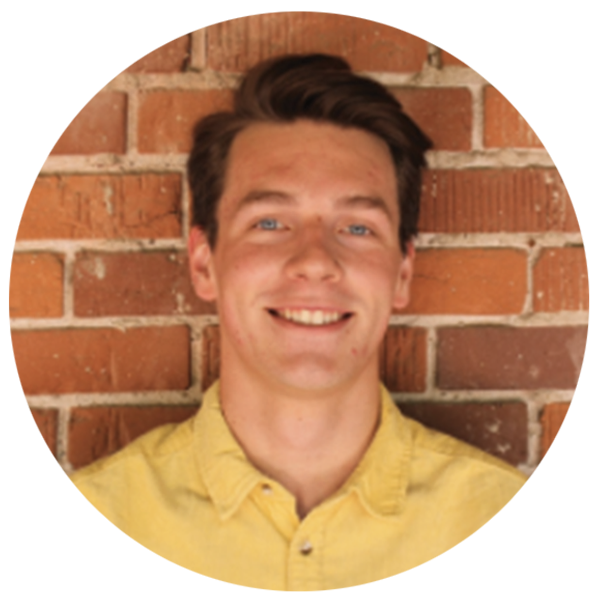 To a young voter, values of sincerity, creativity, and an open mind are key attributes to a candidate worthy of their vote. In America, the millennial civic action is becoming increasingly popular. Knowing about politics and voting is a trend, and many young people are following it. 2018 and 2020 are going to be huge years as the millennial vote grows. As long as young people get out and vote, it’s best that candidates consider and check how they’re presenting themselves on social media to the leaders of tomorrow who use it most.